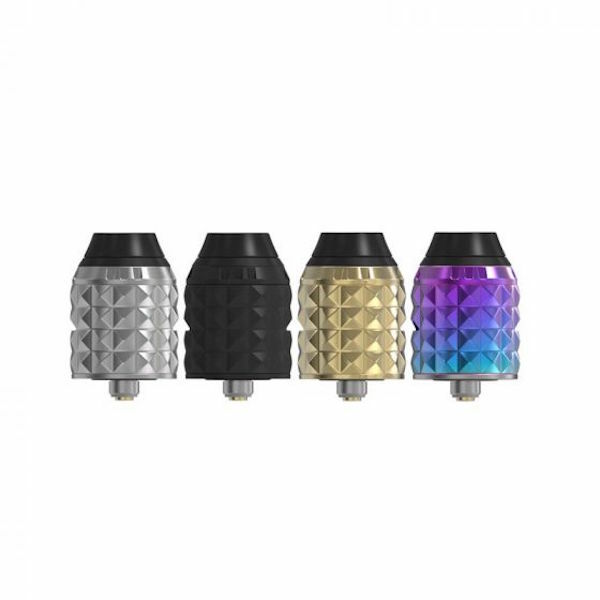 Vandy Vape brand introduces their revolutionary atomizer – the Capstone RDA. Featuring a fascinating unusual appearance, the atomizer has a single screw spring loaded capstone deck, an innovative ramp airflow system, and waterfall squonk action. The Capstone is decorated with many tiny quadrangular pyramids making a strong visual appeal. 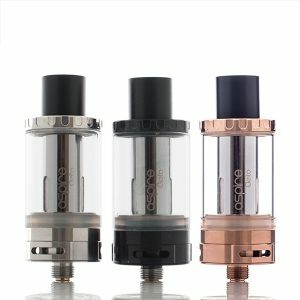 Thanks to such design, the RDA looks eye-catching, moreover, it is available in 4 different colors. 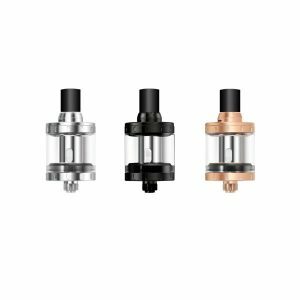 In terms of functionality, this attractively looking atomizer comes with a single screw, spring loaded, capstone deck for easy coil builds. 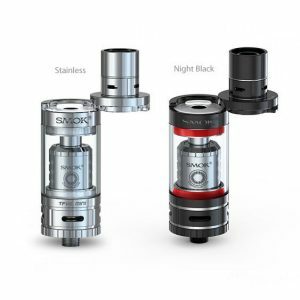 Being single and dual coils compatible, this atomizer also boasts an innovative ramp airflow system helping to get smooth airflow and great vapor production. The squonk holes placed right above the coils, thus the e-juice goes directly onto the coils every time to ensure a freshly dripped vape experience. The unique pyramid deck design is created to act as an airflow ramp. The Capstone RDA offers an incredibly flavorful vaping. The waterfall squonk action makes the cotton full of e-liquid that results in producing tastier vapor. It comes with two top caps – the Capstone Pyramid Cap and The Frosted PC Comp Cap. A detachable structure makes the Capstone simple in cleaning. 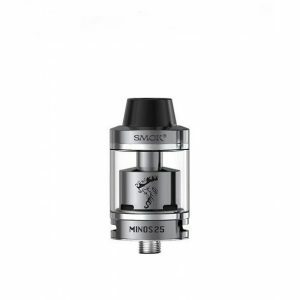 In sum, the Vandy Vape Capstone RDA enters the vaping market with new features bringing possibilities for more pleasurable vaping experience being at the same time extremely alluring in look. It is your chance to shift to a new level of vaping!